End of life care (often referred to as palliative care) can be rather distressing and uncomfortable to discuss. 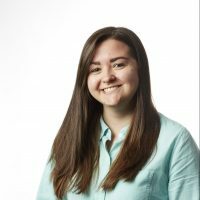 However, the healthcare sector is currently seeing a rise in interest in this topic in an attempt to overcome the stigma surrounding death. With the revelations of inequality in palliative care in Scotland, as well as the launch of Marie Curie’s Palliative Care Knowledge Zone, the logistics of dying in dignity are quickly becoming easier to talk about. We’ve taken a look at how equipment can help maintain physical needs and comfort in end of life care. For individuals who can still move or be moved, a hoisting system may be a worthwhile investment. 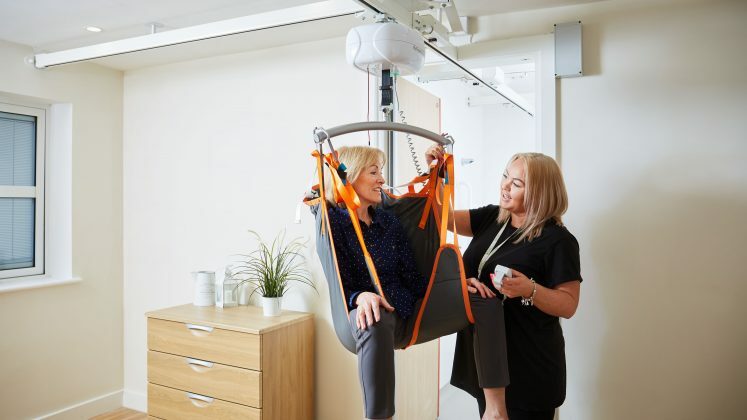 Hospices and other care facilities may need to move the individual from their bed to their chair or vice versa, and a hoist would be the most effective, easy way of doing this. A hidden hoist unit would be ideal for a homely-looking environment, as it doesn’t ruin the aesthetics or introduce a clinical aspect to the space. The hoist simply folds away into a cupboard, and can be brought out when needed. For individuals with more demanding transfer needs, a ceiling track system may be required. Whether it is a fixed track or an X-Y system, this option provides more flexibility when hoisting a terminally ill user from location to location. It can be used just as easily, and helps to maintain comfort and dignity for the patient. Having a comfortable, supportive chair is another way to maintain comfort in palliative care. If the user spends a lot of time sat down, the chair must be able to support their needs and keep them comfortable. A chair that has dual motor tilt-in-space action is ideal for helping the user find different seating positions. By having the built-in tilt-in-space feature, the patient will benefit from effective pressure redistribution. This actions also helps to prevent shear, therefore maintaining the patient’s well-being and comfort. Some models can include built-in pressure relief to help minimise pressure injuries that may be sustained from periods of sitting. One of the most common issues for patients who have deteriorated is breathlessness. Breathing becomes a more challenging task when an individual is weaker, and when they’re laid down for a long time. Breathing patterns change as the person deteriorates, and may become more laboured or sporadic. One of the best ways of making sure that the individual is comfortable and can breathe a little easier is by using a bed that has auto-regression. This is a much more effective way of propping the patient up in bed, as it doesn’t push the mattress down the platform. This will help in the long-term, as it reduces the need to reposition the mattress and move the patient, making sure that comfort is maintained and breathing difficulties are dealt with easily. Beds that have silent air pumps are also great for maintaining comfort. Pumps can sometimes be rather noisy, which is irritating and disruptive for the individual at what should be a relaxed, calm time. Having a silent pump ensures that the patient is receiving the optimum care without disturbing their comfort. Using different pillows of various shapes and sizes can also help to increase and maintain comfort during end of life care. These can be used to position the individual so that they are as comfortable as possible, as well as promoting pressure relief. Another aspect to consider when it comes to bedbound individuals is pressure redistribution*. As the patient is laying still for a prolonged time, they are more at risk of developing pressure ulcers, which are particularly difficult to manage whilst also providing the most comfortable end of life care. By investing in mattresses that incorporate pressure redistribution, hospices, private dwellings, and other care facilities can rest-assured that the patient isn’t being subjected to what could be painful pressure build-ups. Using these mattresses reduces the need to turn or reposition the patient, increasing comfort for individuals who maybe find it painful to move at the end of life. These a few staple ways in which healthcare environments can help to maintain comfort in end of life care. The physical comfort of the individual is incredibly important; it ensures that their body is not coming under unnecessary stress, and it doesn’t harm morale to be comfy. It could even be argued that maintaining physical comfort helps to deal with emotional and mental needs, therefore ensuring that the patient is settled in both body and mind. This will help to ease the individual’s experience, guaranteeing dignity and relief at a testing time. *If you would like to read more about pressure treatment and redistribution in palliative care, this article from the National Pressure Ulcer Advisory Panel is particularly helpful. « What is a ceiling track hoist? How is it installed? How much does a ceiling track hoist cost? Read more How much does a ceiling track hoist cost? Hoisting bariatric patients includes a few extra things to think about. Whether you're using a single unit or a dual unit, you need to make sure that the patient is comfortable and supported throughout the whole process. Read this article to find out the best ways of hoisting bariatric patients. Whenever you're caring for someone who spends a lot of time sat down, one of your main issues will be pressure care in seating. Particularly with hospices and other care environments, your seating needs to be equipped for the long-lasting comfort and protection. Find out what you can do right here. What is the cost of a hospital bed? Hospital bed prices vary dependin on what you're wanting to include, so what sort of cost are you looking at? We've broken it down for you in this guide! Read more What is the cost of a hospital bed? Choosing between ceiling mounted or wall mounted hoist systems? Then have a quick read of this article and see which would be the best solution for you. Choosing care beds can be tricky if you don't know what you're looking for. We've broken it down so that you can know exactly what to look for and what it all means whenever you're investing in new profiling beds. Take a look and see if you agree! Overhead hoist design can be difficult to master - particularly the aesthetics.Do you know what things you can consider to make a hoist look nice?